The latest, 15th paroxysm of 2016 so far, has ended a few days ago and the volcano is now in its relatively calm phase in between, characterized by intermittent small to moderate strombolian explosions. The past paroxysm was relatively vigorous compared to most other similar events- in other words, its effusion rate was quite high compared. It produced a strong lava fountain that rose to at least 300 m during the peak activity and several lava flows on the eastern, southern and western flanks that reached up to approx. 3000 m length. Fuego volcano Volcanic Ash Advisory: VA EMS.  Fuego volcano Volcanic Ash Advisory: PSBL VA EM.